It’s hard to believe I was recently in Costa Rica now that I am back in cold and snowy New Hampshire. 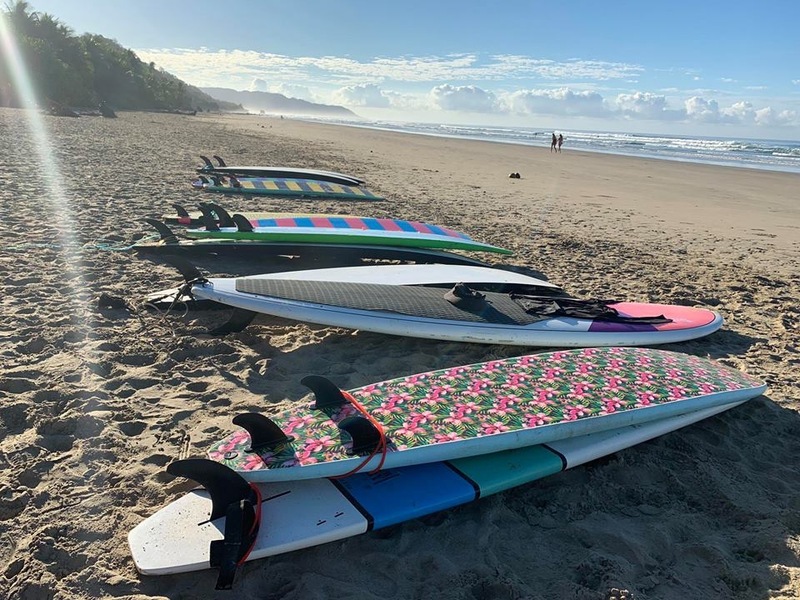 Even though the warm weather and the waves are a memory, I came back from Costa Rica carrying lessons from the surfboard with me to share with you. Surfing had always been something that I had dreamed about doing but I never knew that I would actually be able to do it. 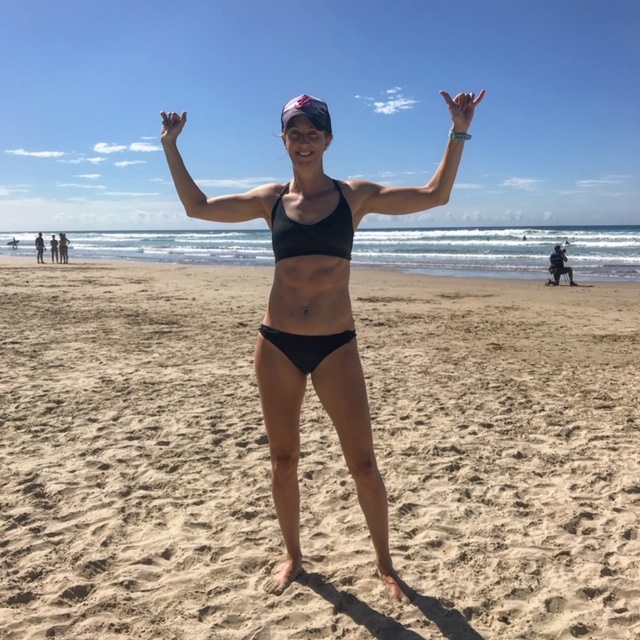 Last year was my first chance when I traveled to Santa Teresa, Costa Rica with Women’s Quest and this year I got to go back and do it again (Lucky me!!!!). Last year was my intro to surfing. Much time was spent surfing in “the fluff” or the small waves that break closest to the shore. 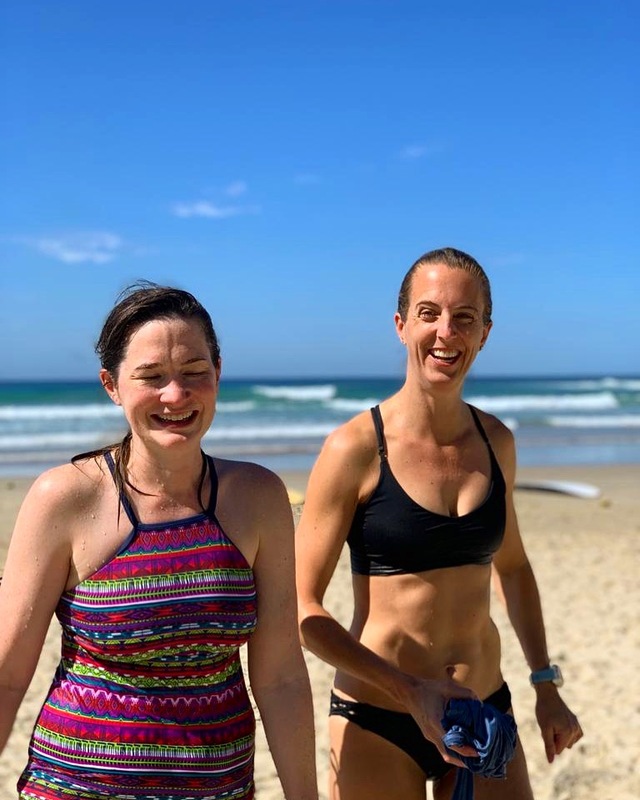 On the last day I was able to go with Nicole (Owner/Founder of Skirt Sports) to “the green waves” at the “Grommets” Beach (basically where all the little kids go and surf-ha!). Those waves seemed big to us! It was a blast. Little did I know this year I would get the chance to surf “the line-up,” the waves that are the furthest out from the shore. The biggest waves that we would encounter on the trip. This year I got partnered with my friend Fawn (who our Italian/Costa Rican Instructor would call Fannie). We were surf partners last year too which was awesome. The first day we got to go out in “the fluff” and just kind of play around and get reacquainted with the surfboard. Apparently it is somewhat learning to ride a bike and after just a short time my body remembered the feeling of “popping up” on the board. I definitely spent my fair share of time falling off the board and cleansing my sinuses in the ocean (ha!). Ciccio and the surfer girls. On the second day we surfed in the fluff again this time partnered up and working with our instructor Ciccio (Chee-cho) who gave us pointers about the pop up, foot body positioning, and also on how to start steering the board. Colleen, the head of Women’s Quest was really pushing for Fawn and I to move out to the bigger waves but Ciccio didn’t want to rush it. He wanted to make sure that we had good awareness of the waves, the ocean, the surfboard and proper technique in getting up on the board. He also felt the importance of developing our trust as well as trusting that we were listening to him. On the third day Ciccio took us to surf in “the green waves” in the channel which are the next largest sets of waves. For this part of instruction he got into the surf with us to help us find the best waves to try and ride. These waves were bigger but manageable and paddling back out wasn’t too challenging because the channel would help carry you out. My board is the broken one, haha! On the fourth day we got the news, Fawn and I would be heading out to “the line-up” to try surfing the biggest waves. Ciccio thought the surf looked good, the waves weren’t too big and the sets weren’t too close together. We spent about 25 minutes of instruction on the beach talking about how to paddle out to the resting zone past the waves as well as what to do to get over/through the waves on the way out and also on the way back out after hopefully catching a wave. 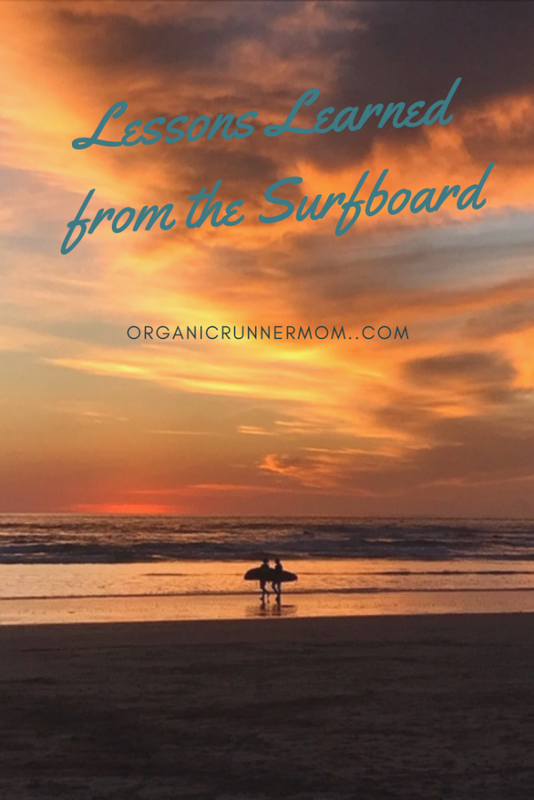 We reviewed how to get up on the board and proper positioning. Ciccio told us about respecting the ocean and the waves, never turning your back on the waves. After that we were ready to head out. I was nervous but excited and Fawn was ready to go! We headed out through the channel. Paddling out was exhausting and you had to navigate going over or through waves. 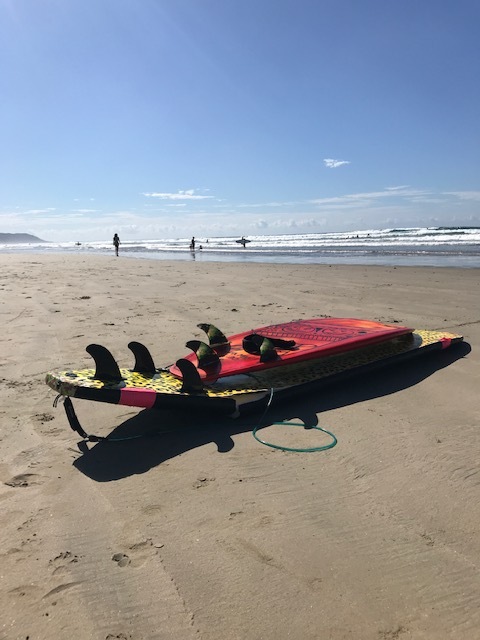 The 4 options for navigating the waves were: timing, chest up (and over the wave), turtle roll (hold on to the rails of the board and roll with it through the wave), and dive through the wave leaving your board trailing behind you (the board is attached to your ankle by a leash). After paddling hard and navigating the waves we finally made it out to the resting zone with the other surfers. It was beautiful. We could see the houses up on the hillside and the whole beach. The water was crystal blue and you could see through to the bottom. Ciccio was up ahead of us closer to the waves ready for us to come and wait with him for the best waves to try surfing. When it was my turn I waited with Ciccio until he said, “ok go, paddle paddle, paddle . . . Pop Up.” as he guided my board from behind into the wave. It was a rush. Exhilarating, scary, amazing! I caught the first wave and rode it for awhile before being tumbled off into the surf which was jarring. You have to cover your head so as not to get hit by your board and just let the ocean cartwheel you until you finally come up for air. after falling I had to make my way back out through the waves which was not easy. The waves were coming in fast and they were big. I finally made my way back out, and shaking, I was finally able to collect myself and catch my breath once I was in the resting zone. Then it was Fawn’s turn. We continued like this catching waves and not catching waves for awhile until a huge set came through and Ciccio and I had to dive through the waves. After I dove through the second wave I came up and my board was in two pieces. What?!!! Ciccio and Ish (another instructor who was out with Nicole) directed me over to them and Ciccio gave me his tiny, fancy surfboard and instructed me to use it to get back into shore. Amazingly I was able to use his board to boogie board back in and caught an amazing ride almost all the way back to the beach. For the next two days we spent about half of the time surfing the line-up and half of the time surfing in the fluff. Surfing the line up is such an incredible experience and so exhausting. By the sixth day I had become much more confident on my board and caught each wave I tried for. Such a rush!!! It was so great to be out there with Fawn because we cheered each other on and watched out for each other. There is a lot of trusting the people that you are with that comes along with surfing. We always checked in with each other to make sure that we were able to continue surfing the big waves and we trusted Ciccio to help keep us safe in the water. At one point I was diving through a wave and the surfboard hit me on the ribcage and knocked the wind out of me. I told Fawn I would need to go into shore and continue our surfing in the fluff for the rest of the day. She was fine with that because as partners we needed to respect each other and to help keep each other safe. Trust your partners. It is so important to build trust in others. When we trust others we can help each other to achieve new levels of success. Trust the people around you and cheer them on. Believe in yourself. There are so many times in life that I second guess myself or tell myself that I can’t do something. In order to be successful at surfing I had to believe in myself that I could do it. You need to notice the strength within yourself. There was no time for second guessing. When Ciccio said it was time to paddle it was time to go and try and catch the wave. Instead of second guessing myself I had to take a deep breath and just go and do you know what? It was amazing! Be okay with falling (and cover your head ha!). Life isn’t perfect. Hard words for this perfectionist to say. I need to get better at falling down and picking myself up again without dwelling on what went wrong. I need to be more ok with laughing it off and continuing to move in a forward direction. I did not catch every wave. I spent much of the time with my head underwater and it was ok because instead of giving up I got back on the board, paddled out and tried again. Be gentle with yourself. You don’t always need to go up against the biggest challenge. It’s ok to take a day to “paddle and surf the fluff.” It’s ok to have down days where you are forgiving of yourself and you are easy on yourself. 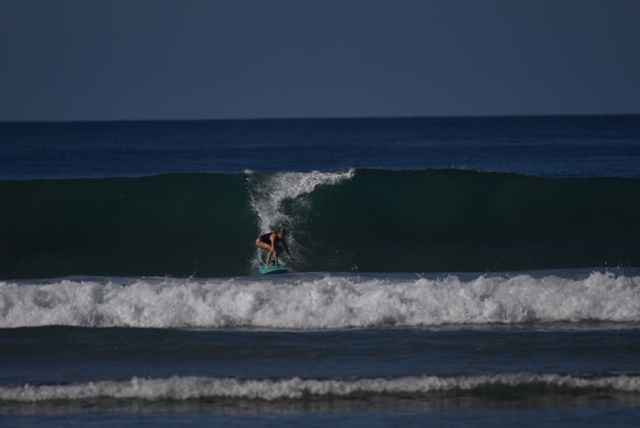 These are just some of the lessons that I learned from surfing in Costa Rica. I am sure as I reflect back on my trip more there will be other important lessons to take away from the experience. What lessons have you learned from doing something hard or something new? It looks like it was a great experience! I’ve never tried surfing but would love to try it one day, especially in such a pretty location like Costa Rica! It looks so fun and nice there! I’d love to learn how to surf someday. I recently learned (re-learned?) how to ride a bike. I had never learned well as a child so was never confident and thus when I tried again as an adult in my 20’s I couldn’t. My proprioception and balance were awful! Well, I spent a lot of time working on balance and strength over the past several years and over my 44th birthday weekend I rented a bike and we went for a family bike ride! I loved seeing all your photos last week looks like you all had a blast. We took surfing lessons in Hawaii a few years back. Lots of fun and definitely a challenge. I loved watching your surfing adventures while you were in Costa Rica! I’m so glad you had such an amazing time! Surfing is one of those things I wish I could do, but I’m too much of a control freak, I think. I’m definitely not ok with falling LOL! Also, because of my contacts, I wouldn’t be able to see underwater, which is no bueno. That being said, it looks like you had an incredible time! What an experience and opportunity! a few years ago I took a year long course in my 2nd language to become a sports massage practitioner. I hadn’t been in school for 30 years almost because I didn’t believe my language skills were good enough. But something happened in my life that spurred me to do it. And it was HARD. And I struggled. And I really had to believe in myself and trust my student friends and professionals who were trying to help me. I passed all my theory exams but I failed my first practical exam. I just completely lost faith in myself when I got the assignment. There were a lot of tears. But I kept trying, I took some private lessons and I studied videos for so many hours; when I took my exam I passed with flying colors. 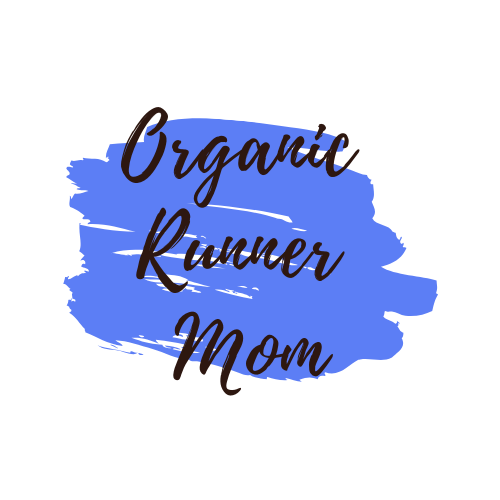 When I actually started part-time work in sports massage I had to go through the process again because I had no experience with clients, but again, I put my trust in my boss and myself and eventually it was all ok.
Wow! You worked so hard to get to where you are in sports massage. So proud of you for taking the leap! Look at all that you have accomplished. So awesome! This sounds like an amazing trip! So glad you had fun 🙂 I have never tried surfing, but I need to add it to my bucket list!! Ps- I have total “abs” envy…Looking fabulous lady!!! It was incredible! You definitely should add it to your bucket list! And thanks! Crossfit has done wonders for my abs lol!